After many years of experience in the trendiest clubs in the north of Italy, Paco Ymar comes to the Matrix Club’s consolle, becoming in a short time the resident dj. 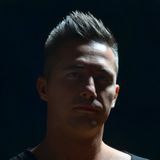 The Matrix Club has given him the chance to perform next to the top italian, and international dj’s. Thanks to his rising success and the cooperation with Metempsicosi, the most important italian clubs as Cocoricò, Amnesia and Magazzini Generali give him the welcome. Paco Ymar is very beloved by the public, and his dj-sets are very appreciated for his refined music, always projected into the future, and for his great ability to transimt Energy and emotions. He differs for being an ecleptic dj and his musical sets are characterized by an electronic sound, with some techno incursions and an irresistibile rhythm.